Seminars - Learn Something New! Plant information and helpful resources for our customers. We have reached our seating capacity and will no longer be accepting attendance requests. Thank you! ACORN FARMS SEMINARS - SIGN UP TO ATTEND! COME FOR ONE OR STAY FOR THEM ALL! - entertaining & informative - lunch is provided! 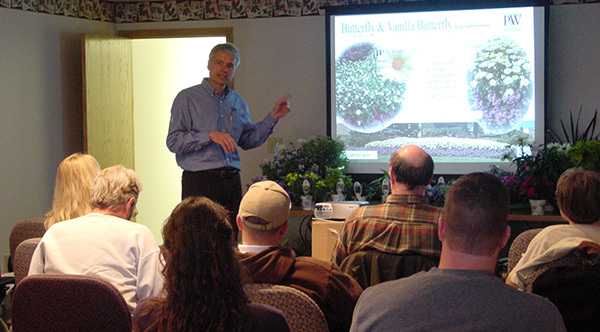 "Ornamental Grasses for the 21st Century"
11:00 am - Terry Lieberman-Smith - Ohio State Beekeeper's Assoc. "Early Season Disease and Insect Activity In Your Landscape"
"New and Underutilized Trees & Shrubs"
"Good Stuff For Every Season"